EQ travel have scored another hit in the Pharmaceutical press, with a feature on the Pharma website. Outsourcing travel and expense management for clinical trials can significantly reduce administration and stress while proving to be extremely cost effective, according to a leading travel executive. Franc Jeffrey, CEO of Equilibrium Travel Management (EQ), pioneered the first specialised clinical trials travel service of its kind more than a decade ago after identifying demand for a bespoke service. Franc said: “Our clinical trial offering was developed after discussions with a potential client in the pharmaceutical sector. Initially, we were to talk about their corporate travel but it became evident that they were struggling with travel for their trial subjects. “Confidentiality rules and regulations stipulated by regulatory bodies such as the FDA, EMA and MHRA meant that the Sponsor could not know any specific patient information. This made the arrangements of travel for the subjects extremely awkward. After much thought, I came up with the idea that we could step in between the investigating site and the Sponsor. “By coming up with the solution of assigning codes for the subject and the study in place of their personal information, we could then organise travel on their behalf. Because the bills came to us we were able to desensitise them and charge them back to the Sponsor. The Sponsor would get to see patient IDs, dates of travel, dates of booking, types of travel and cost – but no specifics. “This level of reporting meant Sponsors retained control of expenditure by setting limits on the maximum permitted spend and matching the patient travel dates to dates that clinic visits were scheduled. The GCP-accredited EQ team now have a long and successful history of working with the world’s leading pharmaceutical and biotechnology companies for clinical studies and their extensive knowledge means they fully understand the detailed planning, sensitive handling and confidentiality which subject travel and expense management require. The benefits of outsourcing these crucial aspects of a clinical trial are numerous. Ultimately, the CRO will have a greatly reduced amount of administration, taking away the hassle of coordinating subjects, organising travel and reimbursing expenses. Additionally, improved budget control and cost savings can help the client reduce expenditure through effective planning. Ensuring the smooth running of the travel arrangements of a trial can lead to study continuity with reduced risk of missed appointment visits or subjects leaving a study early. 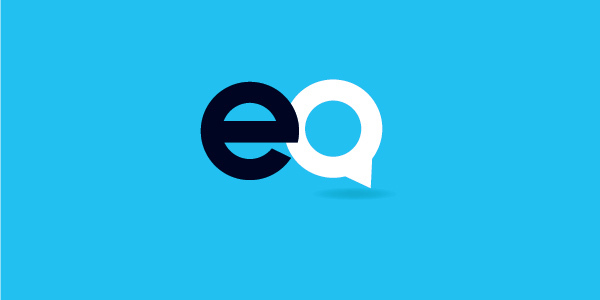 EQ’s expertise means that each requirement is treated individually and they can arrange every aspect and detail of the operation, from home to clinic. For example, EQ understand that air travel can be unnerving for subjects who require special care and assistance including wheelchairs and access to oxygen, so they liaise with airlines through well established partnerships to ensure that optimum service is received. If a subject requires specialised medical care whilst travelling, the EQ team can make arrangements for road or air ambulances to ensure maximised comfort and medical care for the journey. Dundee-based Onorach Clinical is the most recent CRO to benefit from EQ’s services. Professor Christene Leiper, Managing Director of Onorach Clinical said: “We have worked with EQ over the past year.